It’s nearly noon and the sun is high above Kigali. 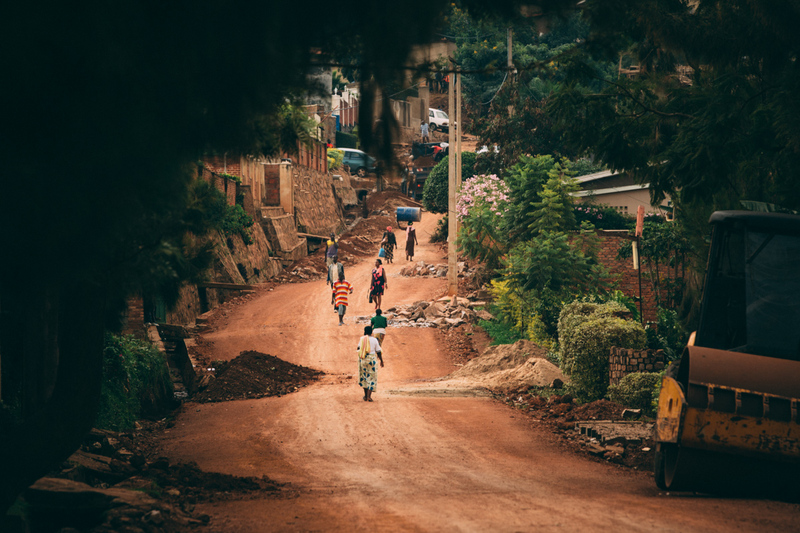 Rwanda is said to be the country of a thousand hills and at the bottom of one of them, on a piece of grassy land, a curious sight catches the eye: sticking out of the dense vegetation and muddy ponds, a small patch of colorful concrete emerges from the green scenery. 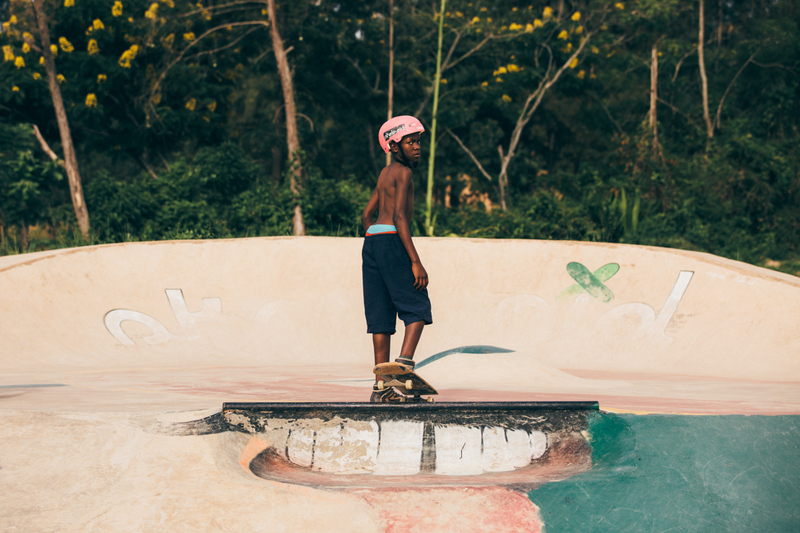 A dozen kids glide around in excitement, the older ones helping the younger ones, less experienced. 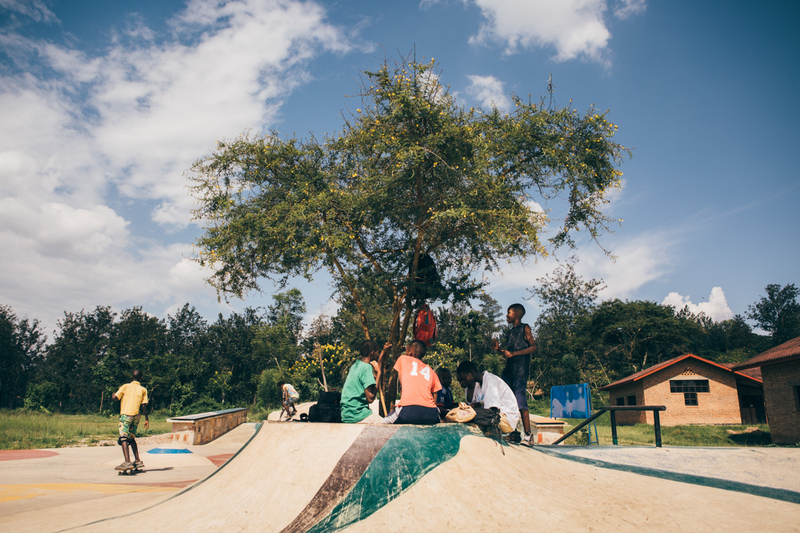 Meanwhile, in the scattered shade of a thin tree planted in the middle of the skate park, some others rest and a small speaker is pushed to its limits, blasting a mixed playlist of Swahili songs and American hip-hop. 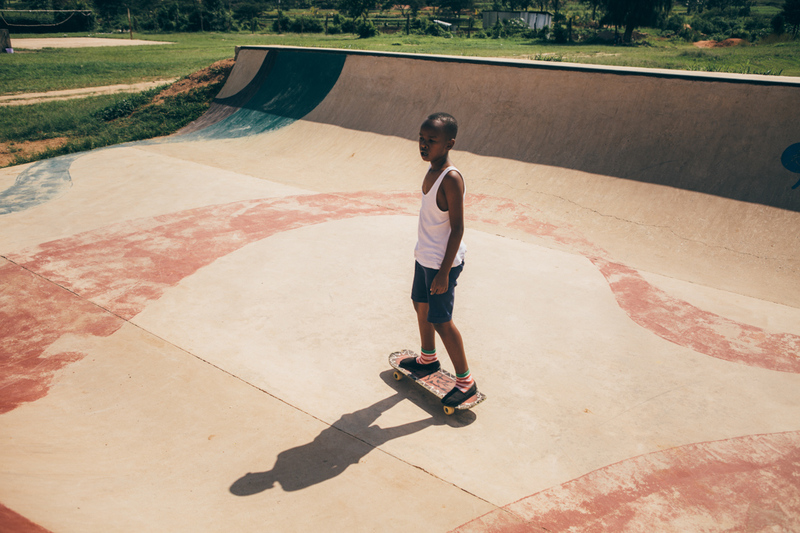 That’s where we meet Sedrick, he is the manager of the park for the organization “Skate Aid”. 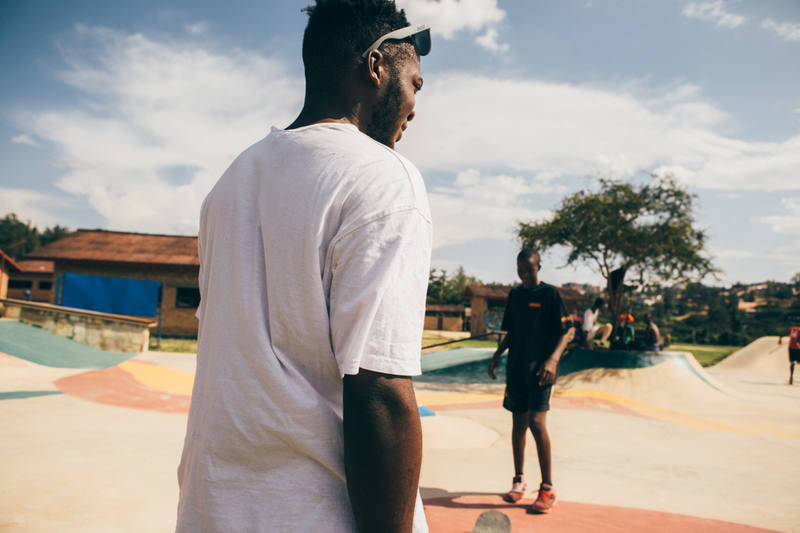 His role is to make sure that all can train safely and take turns on the few boards that the organization provides for them. 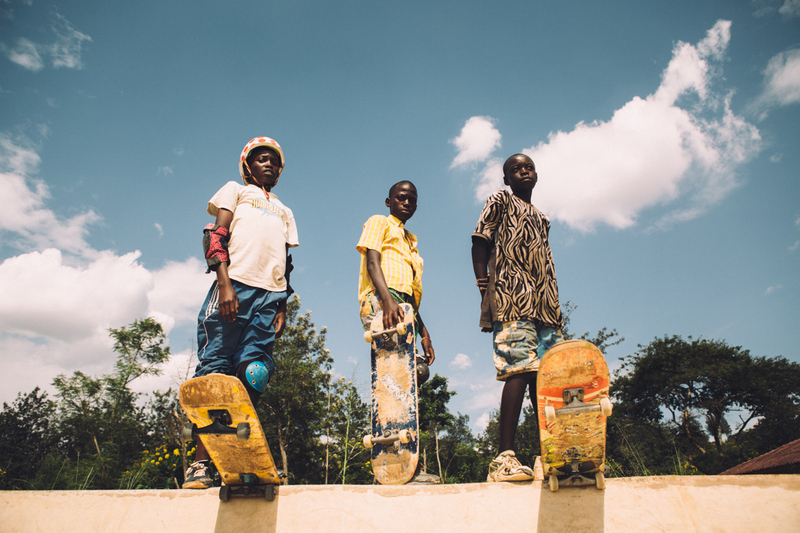 Skate Aid is an NGO based in Germany that helps children in Africa and in other parts of the world affected by conflicts or deprivation by giving them a chance to go to school, constructing skate parks, and distributing free skateboards. 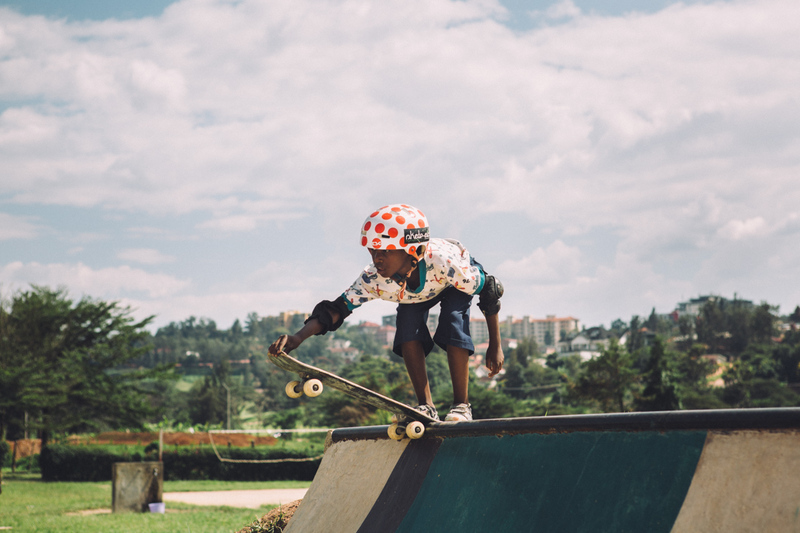 The skate park, which opened in April 2016, was built on a piece of land donated by SOS Children’s Villages; another international NGO aiming at protecting children’s rights. 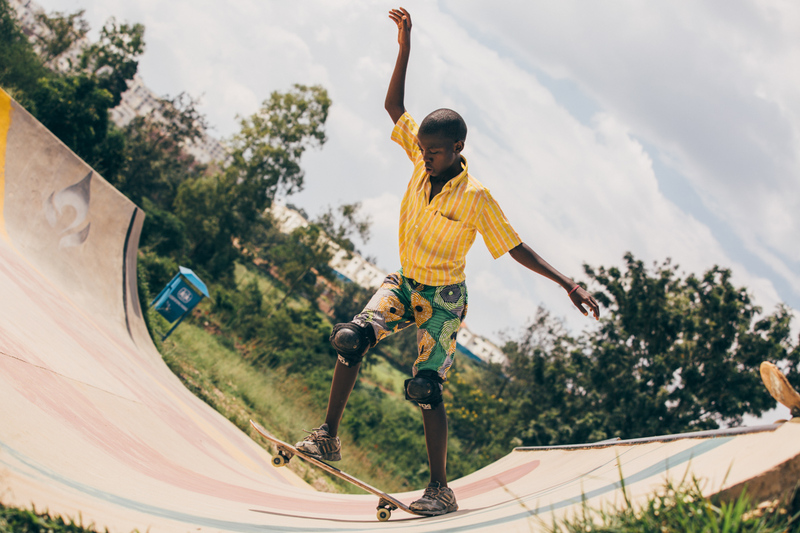 Being located nearby one of their schools, the children from SOS Villages can easily get access to the skate park, but it is also opened to any other child willing to give it a try. 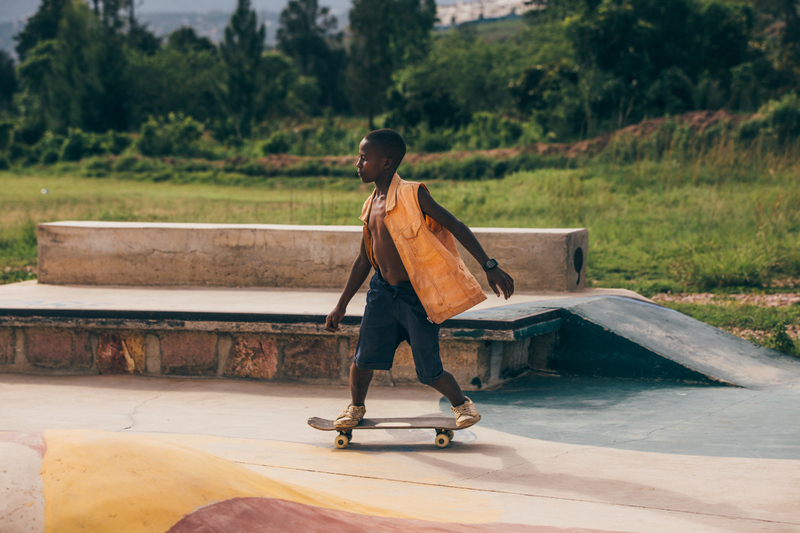 By providing them with the right skating and safety equipment, the organization hopes to help shaping a generation of strong and independent individuals who find a personal development through sport. In a country where over 40% of the population lives under the poverty line, many children are left in a particularly vulnerable position. 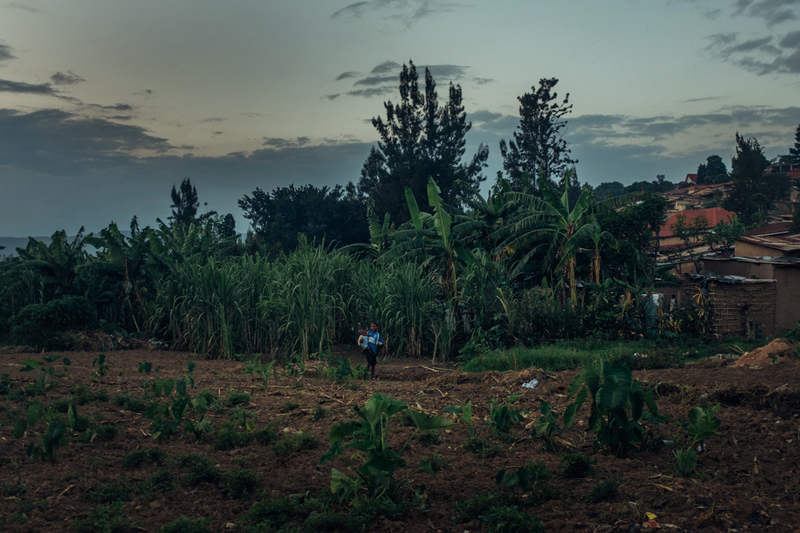 As the afternoon goes by, many more children gather around the park as they come out of school. 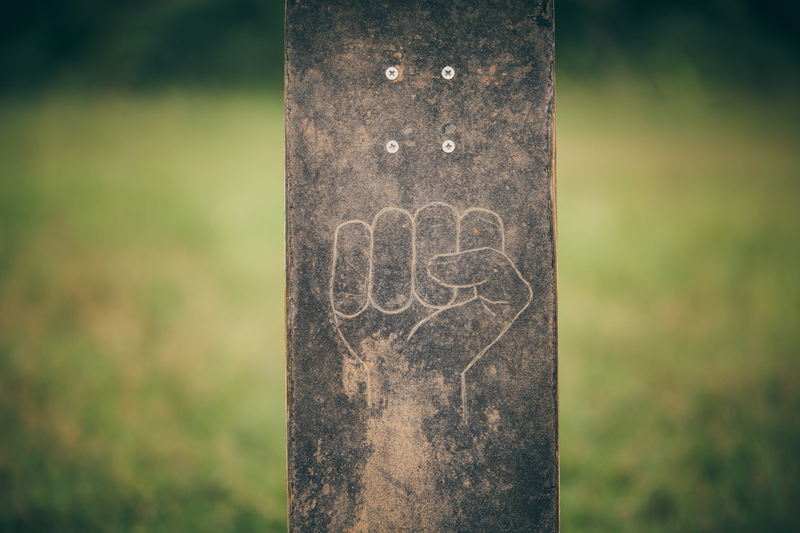 We meet Debraher, the first girl to have picked-up skateboarding in the whole country. 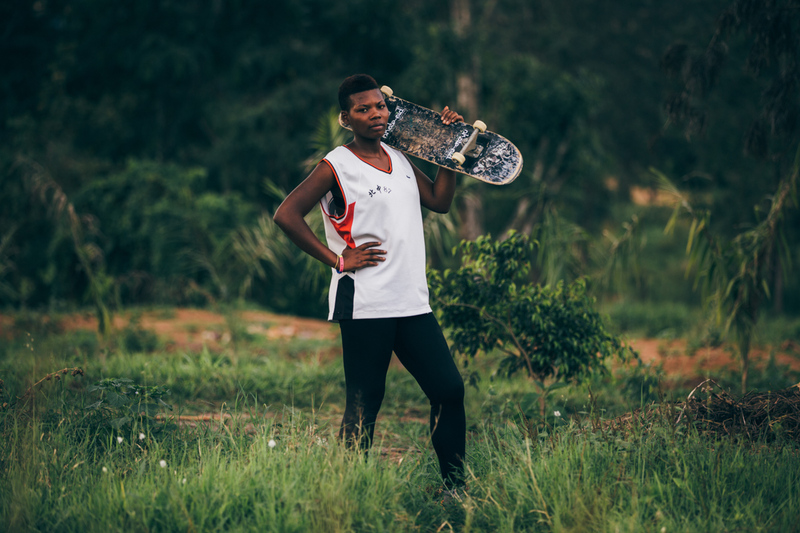 Debraher is 16 and hopes to become a professional athlete some day, and even though a couple more young girls have joined the skate park after she started, about 6 months back, she remains one of the very few among a vast majority of boys. 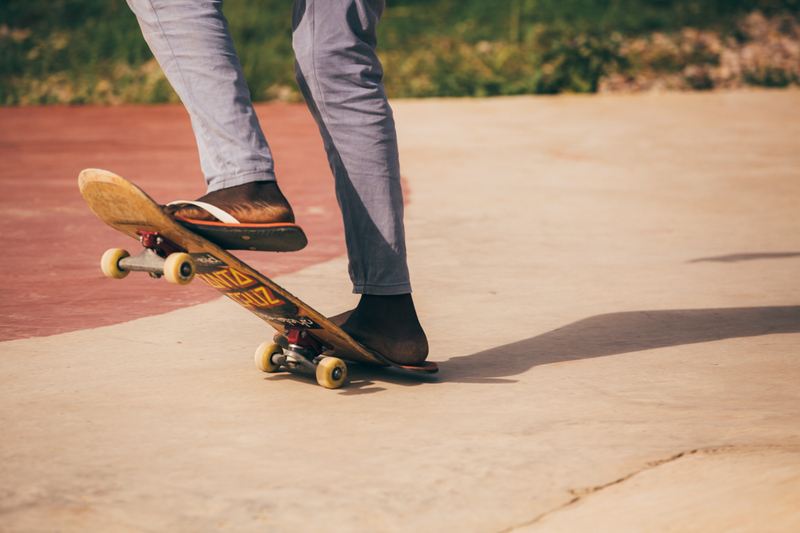 It is nearly 30 degrees and the thin shade provided by the one and only tree on the skate park has become like an oasis for the children to wait for their turn and cool down. The hours pass, and as the sun goes down taking the nurturing heat in its fall, people quietly head home. 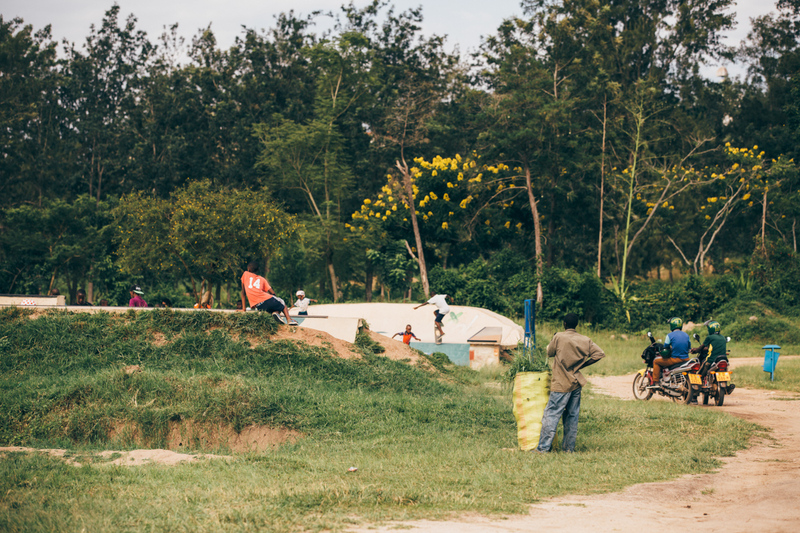 But the next day and like every other day of the year, the one and only skate park of Rwanda will fill up with life, bruised knees, and hopes for a better tomorrow. story produced with the help of Billie Ekman.